The Best Tree Removal, Palm Tree Trimming, Stump Grinding + Removal, and Emergency tree Care Company around! If you're looking for tree removal service in Brunswick GA, you're in the right place. We go above and beyond to please our customers and make sure your foliage is taken care of properly, and professionally. We climb through your branches like ninjas. ​You want to rest easy at night, knowing that a professional tree company is in charge of your big, tall pines-- simultaneously keeping the place clean, and throwing a few tennis balls to your two fun-loving pups, Rover and Spot. You want arborists who understand all aspects of proper tree service: safe tree removal, proper tree trimming and pruning, emergency tree care, stump grinding and removal, and more. When you hire Brunswick Tree Service for the job, you're hiring the best in town, hands down. We guarantee it. It starts like this: You say, "Hey, guys! Aren't you the #1 tree fellin' crew in this fine land?" We say, "Of course we are! Whatcha need, friend?" So you go, "I haven't seen the sun in months! Can you trim these limbs back so I can smile again?" And before you know it, we're already there with ropes tied and saws blaring. Because we ALWAYS show up a few minutes early. ​New scenario-- You need a massive mossy oak removed before it decides to lay down on your roof for a snooze. Give us a call at 912-274-0007 and we'll be there in a jiffy. ​Our guys arrive on scene with long, beautiful locks of hair blowing gently in the ocean breeze. We get a good look the situation and ensure that all citizens are safe. We take that tree down piece by piece like a hungry 4th grader eating a fruit rollup after recess. We grind the stump that's left over, but save the wood chips to be repurposed. You offer us a glass of sweet tea, a and of course, we politely accept. We laugh and cry as we drink gulp after gulp, reliving the memories of the old tree. We've become such good buddies, only a hug will do at this point, and we ride off into the sunset. Georgia tree service heroes for another day. You go inside and leave us a 5-star review, blown away by our compassion for your landscape, and telling the rest of the city about what awesome guys we are. The phone rings the next day-- it's us, thanking you for your business, and the sweet tea. As if yesterday's events weren't enough, your love for us grows even more than you thought possible. It's pretty simple really. You just want your lawn and landscape back. You want to love your yard again. You want that dream vision to be a reality. You want ugly limbs cut back, branches and palm fronds pruned by tree shaping experts who are dedicated to creating a beautiful atmosphere for you to enjoy. ​Slide that phone outta your cargo shorts pocket and give us a ring. New friends and a new treescape is just a phone call away. You can't get better treatment than what we offer here at Brunswick Tree Service. We take things to a new level by summoning our inner arborist spirit to execute the most acute of tree extraction maneuvers, pruning, or removing a stump so cleanly, that you'll never know it was even there. We were brought up to know and understand that it's only proper to leave things in better condition than they were when you showed up. We guarantee you'll be blown away by how great your yard will look when we're done there. When you've been sawin' wood with really buff muscles for as long as we have, you tend to understand a few things about excellent tree work, and what it takes to be a cut above the rest. It's about much more than grabbin' an axe, and choppin' at the nearest branch. We're tree surgeons, arborists, tree doctors-- an emergency tree service that makes wise, calculated decisions, before we ever make an incision with the roaring chainsaw. When you need a trusted tree company in Brunswick, it's really a no-brainer that we're the pros in town, and we're the ones you want climbing your trees. Trees Witherspoon. Heath Logger. Woody Harrelstump. Los Trees Amigos. Conquerors of the Trees. Those are just a few of the names our happy past customers have given us. All of which are amazing. We aim to do such a fantastic job taking down your trees that you say, "Wow, those tree guys are the apples of my eyes." Just 'cause we're out there climbing, chopping, trimming, and grinding all day, doesn't mean we don't know the importance of taking a minute to crack a joke and make you smile. We're nothing like those other Brunswick tree companies (see: late-arriving, mouth-breathing, weird-smelling, chip crumbles in beard). We've got a serious appreciation for your time. We want you to be a happy customer who wants to leave us a good review. Palm tree extraction, simple trim and clean up, or just planting a new tree for you... We always arrive a few minutes early. Taking into account the little details is how we make your trees look like they were painted by Bob Ross, himself. ​It's also how we've become the cream of the crop, and added to our services. The cost to do large tree work can vary greatly depending on the scope of the job. Prices can rise into the thousands according to the difficulty and expertise required to fell a tree safely. We may not be the cheapest local company, and to be honest, we don't want to be. "Cheap" doesn't correlate with "best." A cut in price now can mean much more down the road. From a funky, twisted old oak, to a simple palm frond trim-- we've got you covered. We strive to always be affordable. We might be hauling limbs away, but we promise they won't be your limbs. We've all got that one friend or relative that is so nit-picky, they're annoying. Every wall decoration is perfectly level and in the exact center of the wall, both side to side, and top to bottom. That's us. Every one of us here at Brunswick Tree Service are like your annoying sister-in-law. When it's your lawn's aesthetics on the line, we feel like it's ours. But it's comforting to know that when we leave, it's going to be perfect. Just how you want it. Give us a chance to make your landscaping vision come to life. We're the #1 tree company in Brunswick for good reason, and we'll prove it to you. 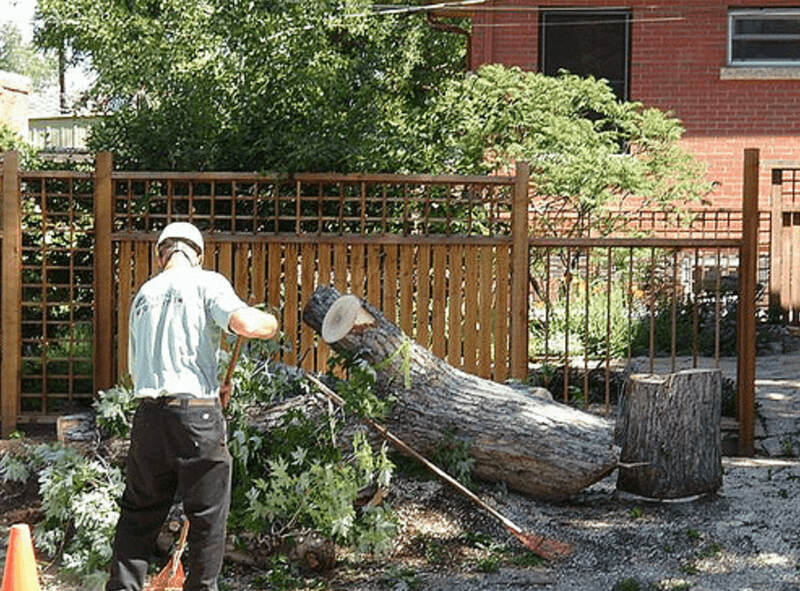 We specialize in tree removal, tree trimming and pruning, stump grinding and removal, planting and fertilization. We also offer emergency tree service in case you are experiencing on of those situations. We make every effort to recycle and repurpose any remains of the tree that could be put to good use. Wood is a special thing, so it's only right that we do our best to salvage the stuff that can be used to make awesome furniture or shingles for your daughter's dollhouse. You'll know from beginning to end that you are working with the best. Our reputation is what it is as a result of years of excellent local service. What other areas do you serve? In addition to Brunswick, we also happily service Saint Simons Island, Dock Junction, Country Club Estates, Sea Island, Little St Simons Island, Jekyll Island, Hickory Bluff, Spring Bluff, and Sterling, GA.
Every job's different, and we'll need to come and assess yours before we can give you an accurate price. Contact us for a free quote. The cost we determine will be final. No up-charging you later on. Promise. Call 912-274-0007 to schedule a day and time that works best for you. Saving a few bucks with Teddy Tree-Trimmer today might cost you dearly later on. What happens if you damage my property on accident? Luckily, we've never experienced anything like this yet-- knock on wood. When we come out for a quote, we'll go over our policy with you, so you can feel at ease. Call us at 912-274-0007. If email's better, just fill out the contact form found above. Regardless of what you need, whether it's full on removal of a tree, or just a simple pruning, we can handle it. We've taken down some big mossy oaks that we're so gnarly, you'd think they were from outer space. Please don't hesitate to call us anytime, day or night, to discuss your tree care needs. Residential, commercial, condominium or apartment complex, assisted living, school, shopping mall...we do it all. ​And if you just like the way we write, visit our blog for a little more to indulge in. We look forward to hearing from you and helping you reach your goals for your trees!